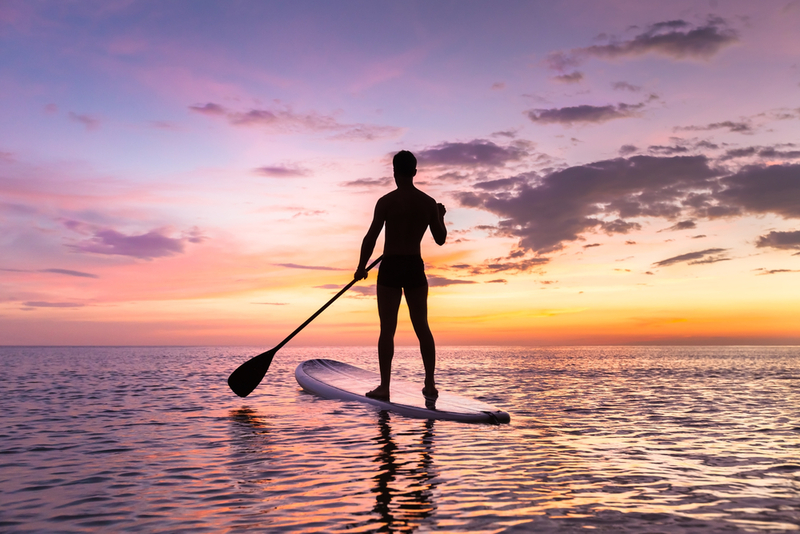 Stand up paddleboarding, more commonly known as SUP, has gained a lot of popularity in recent years. While the sport isn’t exactly new, it’s been catching hold among enthusiasts of all ages—and in spots all over the world. Indeed, you can go stand up paddleboarding in incredible locations. Whether you’re on holiday or in your own neighbourhood, it’s always a good time to give SUP a try. If you live near a sea, lake, or pond, chances are you can experience SUP in your area. But if you’re on the search for an amazing stand up paddleboarding destination for your next, trip, consider these six beautiful regions. Hawaii is well known as an island paradise. And with its fame as a surfing destination, it’s no surprise that this is a great place for SUP as well. In fact, this is where the sport as we know it first began—so it’s a must-visit place for boarding enthusiasts. Some of Hawaii’s shoreline is especially calm in the summer months, providing miles of beautiful paddling in some of the world’s loveliest waters. Want to try SUP in Europe? You can’t miss Europe’s paddleboarding capital, the country of Portugal. There is a vast range of water ideal for SUP throughout Portugal, and most are within easy reach of the capital city of Lisbon. One of the most sought-after spots in the region is the Luiz Saldanha Marine Park. This area offers amazing visibility in the water, giving you the opportunity to spot an abundance of marine wildlife in the depths. This might be a surprising spot on the list, but Amsterdam is an excellent place to do some SUP. With its network of canals, the charming city is well-built for such an activity. And though you won’t have tropical vistas in your sights, instead you’ll enjoy the quaint architecture and the European flair. You can also count on very calm waters. This is a unique destination for SUP, but it’s one you shouldn’t discount. This Central American hotspot has many draws which make it a phenomenal holiday destination. A laid back, “Pura Vida” lifestyle is found here, and from jungles to beaches, there is plenty to do. Costa Rica is becoming a top paddleboarding spot, too. Playa Danta in the Guanacaste region is one area which comes highly recommended, with calm waters perfect for the first-time stand up paddleboarder. Afterwards, relax on the blissful beaches. With its amazing scenery, it is no wonder that the coastal destination of Cape Town is a top choice for visitors. And this a spot where stand up paddleboarding is growing in popularity. There are a variety of board hire companies and instructors, so you can enjoy a glorious region and experience SUP, too, whatever your skill level may be. Of course, we could not forget about a thrilling SUP location that is much closer to home. Jervis Bay offers some of the finest paddleboarding in Australia. This is a scenic region that may best be explored by water, and a guided SUP tour provides just that. We’ve also got SUP hire, for those who wish to explore on their own. Whichever you choose, Jervis Bay has an impressive coast that creates a fantastic on-the-water experience. Have we forgotten any other amazing destinations for stand up paddleboarding? Where have you been?